When I first stayed at the Tokyo Hilton back in 2008, I noticed a narrow staircase inconspicuously tucked away in a corner of the lobby. Immediately intrigued, I stood at the top of the stairs and peered down below. As the staircase was curved I was unable to see much of anything. The only clue as to what I might find if I were to descend was the word “Hiltopia” written in cursive on a small sign. Of course I felt M and I had to go down and check it out! I called him over and we made our way down the stairs. As we emerged into the level below, I was delighted to find out that Hiltopia was, in fact, a small shopping arcade. 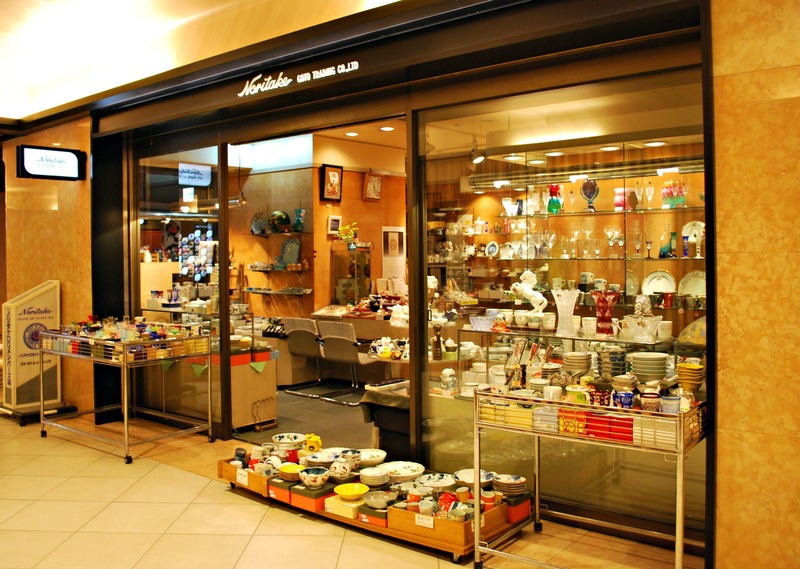 There was a hodgepodge of stores selling a variety of things: furniture, dishes, books, coffee, knick-knacks……. Besides us, there were only a few other shoppers and it was a welcome change from all the crowds we had been experiencing in Tokyo thus far. I flitted from store to store checking out all their wares. 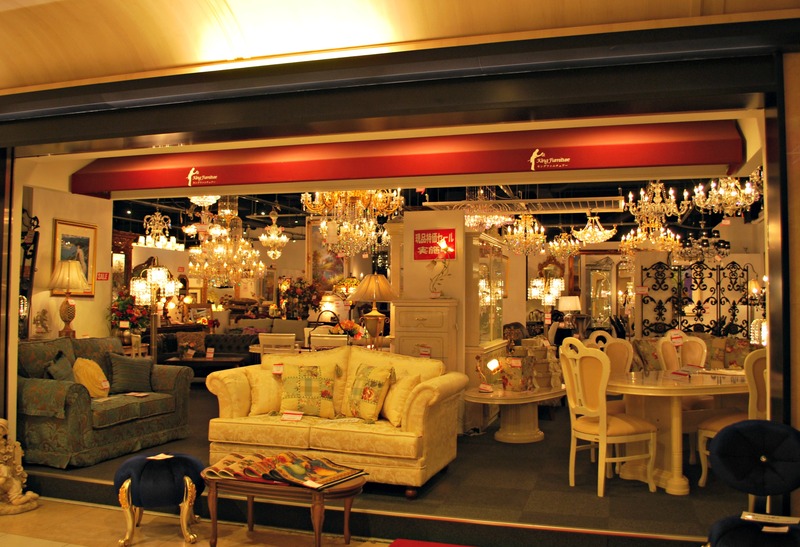 Unfortunately, everything that caught my eye was much too large to take back home to America with us. One item in particular that I coveted was a beautiful little rocking horse. It reminded me very much of one that I had when I was a young girl. After exiting the last store, we came upon a set of automatic sliding doors. A sign above them indicated that this was the beginning to a passageway that would lead us to Nishishinjuku Station and Tochomae Station. 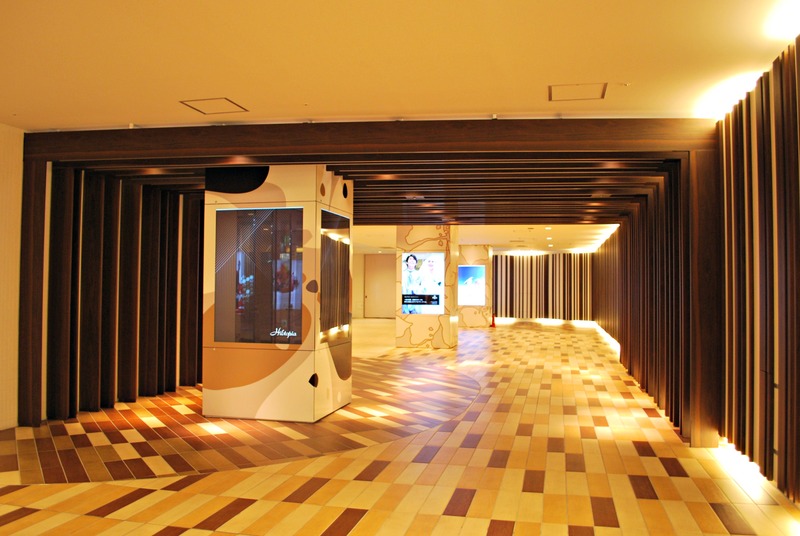 Excited, I figured that one of these passageways would probably take us all the way to Shinjuku Station. From there, we could catch a train and have lunch in one of the other boroughs. M was a bit less enthusiastic: why should we walk all the way to the station when our hotel had a nice shuttle that would take us there in half the time and with a lot less effort on our part? But in the end, his curiosity got the better of him and he decided that he wanted to check out the underground passageways just as much as I did. As we left the decked out hallways of Hiltopia behind us, we entered a very long corridor. I was relieved to see that there were signs hanging from the ceiling indicating how to get to Tochomae Station. Since Tochomae Station isn’t too far from Shinjuku Station I figured we would walk the pathways to the former then figure out how to get to the latter. But that actually turned out to be unncessary because we soon came upon a very large map tacked on to the wall of the corridor. I’m somewhat directionally challenged so M studied the map for a bit and said getting to Shinjuku Station would be easy, phew! As we walked along the passageways, it was very quiet and we encountered very few people. Although there was really nothing to see or do, we were still having fun. It almost felt like we were no longer in Tokyo but rather in a strange underground world that had long been abandoned. And I marveled at how clean it all was. Then, before we knew it, we could hear a flurry of activity coming from the end of the corridor: we had reached Tochomae Station on the Oedo Line. In case you’re wondering, we could’ve hopped on to the subway at this point and paid 170 Yen to get to Shinjuku Station. But, I’m not sure anyone would be silly enough to do such a thing. For right around the corner from Tochomae Station’s fare gates was a sign pointing out the underpass to Shinjuku Station. We were almost there! Several minutes later, we were getting on an upward bound escalator that deposited us in front of Shinjuku Station’s West Entrance. After the still and quiet of the underground passageways, all the hustle and bustle seemed almost surreal. M said the entire journey had taken us 20 minutes or so and we’d walked a little over a mile. Just enough exercise to get us good and hungry for lunch! And with that, we joined the throngs of people in Shinjuku Station to catch a train on the Yamanote Line. Thank you! You’re right, that corridor does kind of remind me of one in TST when I was heading from my hotel towards the Avenue of Stars. lol, I was surprised by how huge the space was underneath Shinjuku. It really was like an underground world. 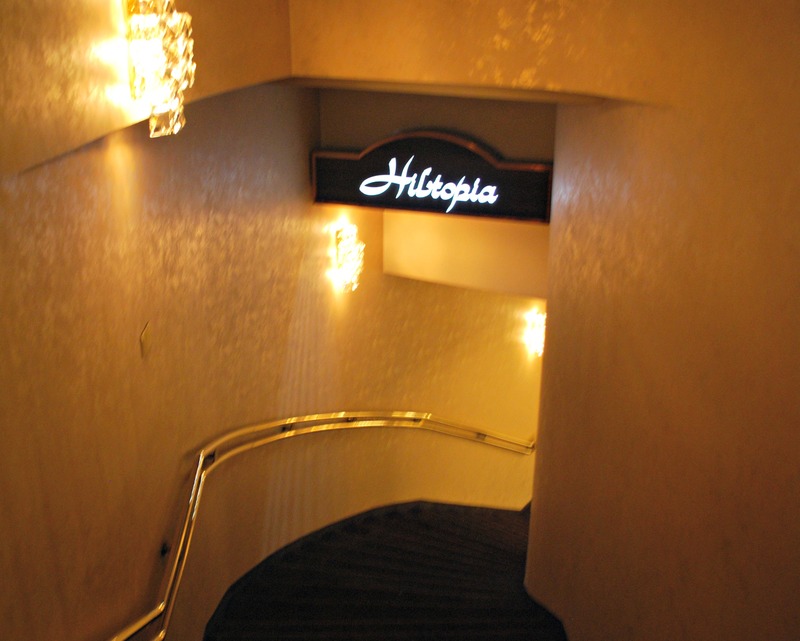 Oh my God, I got super lost in those passageways, though I never found Hiltopia. There was an arrangement to meet somebody in Shinjuku station, which ended up being such a huge mistake. I ended up wandering around back and forth all around those tunnels, trying to find the person I was meeting with. To make matters worse, I did not have a cell phone that worked in Japan on that trip! I know, those passageways underneath Shinjuku are crazy! 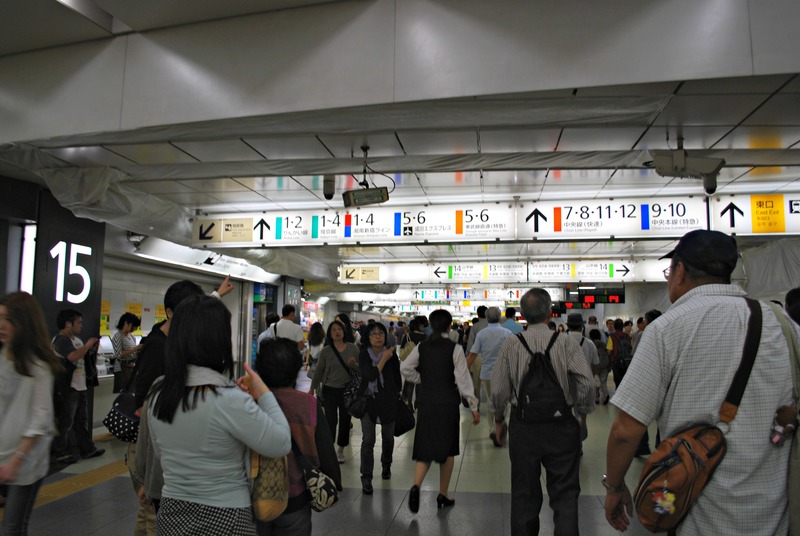 And finding anyone at Shinjuku Station is hard to begin with because the place is such a zoo. If I had been by myself down there I don’t think I would have attempted trying to get all the way to Shinjuku Station from our hotel. Or I would have to be like Hansel and Gretel and leave a trail of bread crumbs. Sounds like you could just about live in those passageways. I know! It’s amazing how huge the space is down there. With Tokyo as crammed as it is, it’s certainly something to consider! 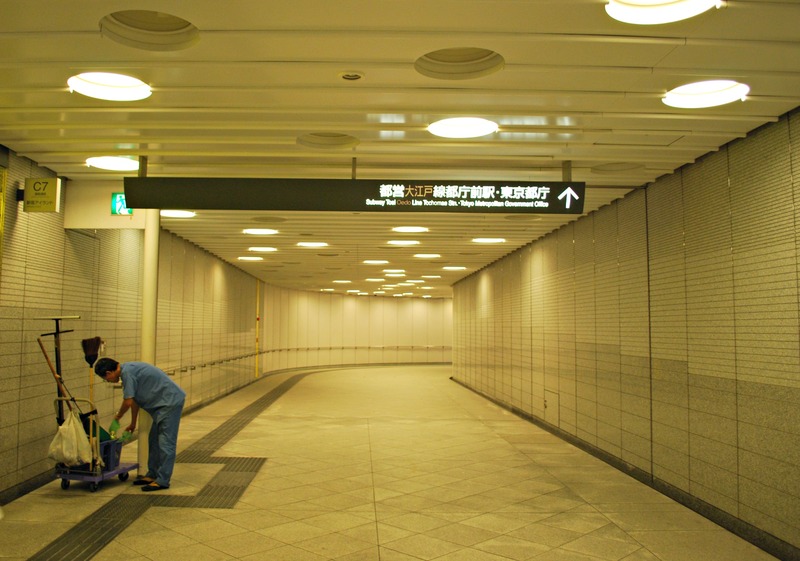 I hope to have more adventures in those underground tunnels on my next trip to Tokyo. I heard there’s so much more down there than what I saw. 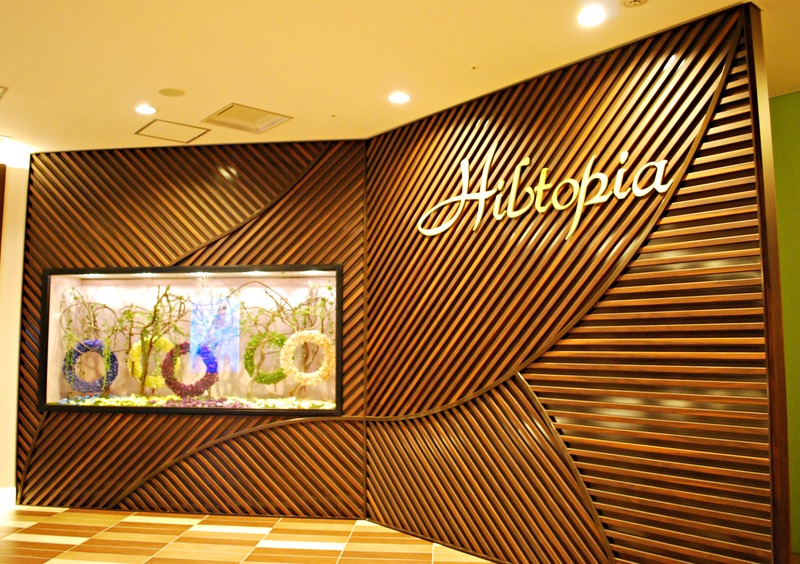 We always stay at the Hilton when we go to Tokyo and I love going down to Hiltopia. Like you say, it really is very charming and it never seems to change. I always see the exact same items year after year, it’s like that shopping arcade is trapped in time. Wow, I didn’t know Shinjuku’s was the largest in Tokyo. Not a surprise though, it was a huge space underneath there and I know I’ve only touched the tip of the iceberg. Yes, it’s perfect for rainy days, I will definitely have to explore more of it on my next trip and find all those little shops you speak of. I totally agree with you about working under there! We saw a janitor cleaning the passageways and I wondered what his life was like. Waking up, going to work, staying underground for 8 hours, going back home, going to sleep, waking up again, and the cycle continues. When does he ever get to see the light? It’s a fascinating area. It’s been quite some time since I’ve been to Shinjuku, unfortunately. But I know how complex it is. I understand there are more than 200 entrances to Shinjuku Station. 200 entrances, wow! I knew it seemed like a lot but I didn’t think it was that many. No wonder it’s always so hard for me to find the exit I’m looking for. It can be difficult. But you know what? I’ve actually met people at Shinjuku station. 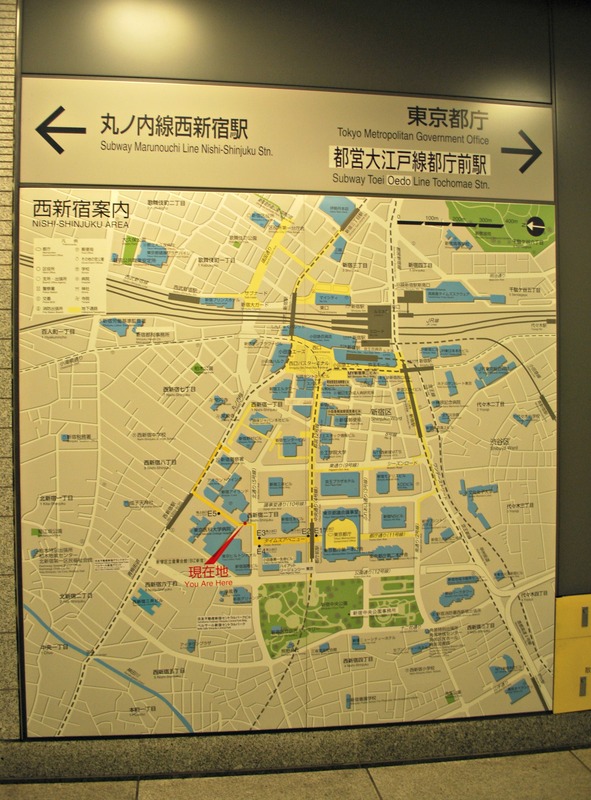 I’m too directionally challenged to consider using Shinjuku Station as a meeting spot. On this last trip to Japan we were in Tokyo for 10 days and it took forever for us to remember how to get to the station’s West Exit from where the trains are. You must have a really good sense of direction. Generally, I do have a good sense of direction. I rarely get lost and can easily find places. I wish I’d thought to explore the tunnels more when I was there in summer. 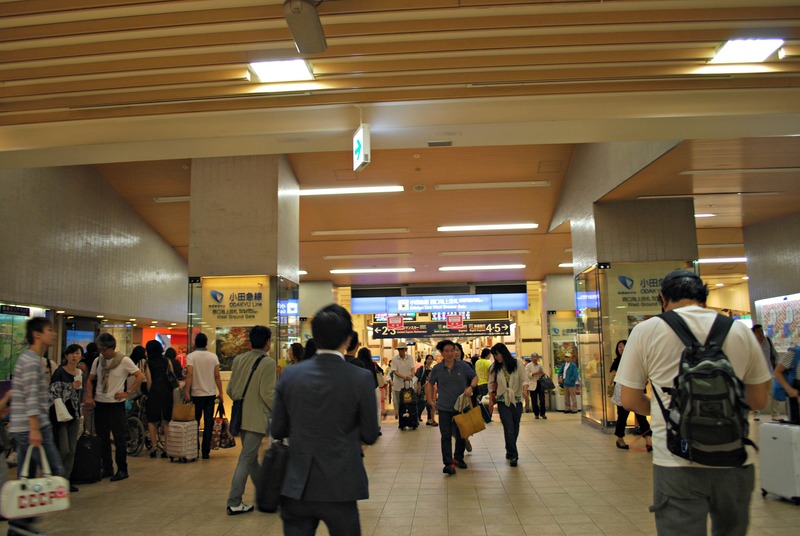 A few days into our trip we discovered one that led straight from our hotel to Shinjuku stn! Super convenient and so much cooler. I feel like there are underground worlds hidden all over Japan. I know that Sapporo and Nagoya both do, although obviously not quite as extensive as that of Tokyo. I know, I wish I’d explored the tunnels more myself. 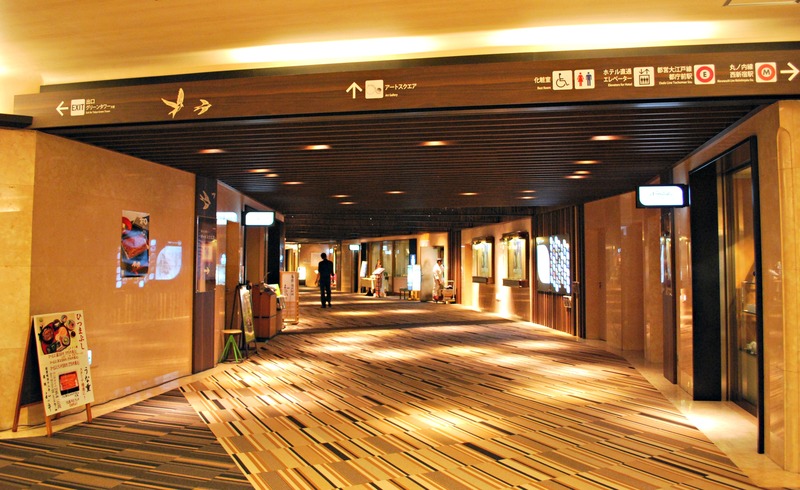 Even though the Hilton is quite a walk from Shinjuku Station and it’s much faster to take the shuttle, walking the underground passageways is so much fun. 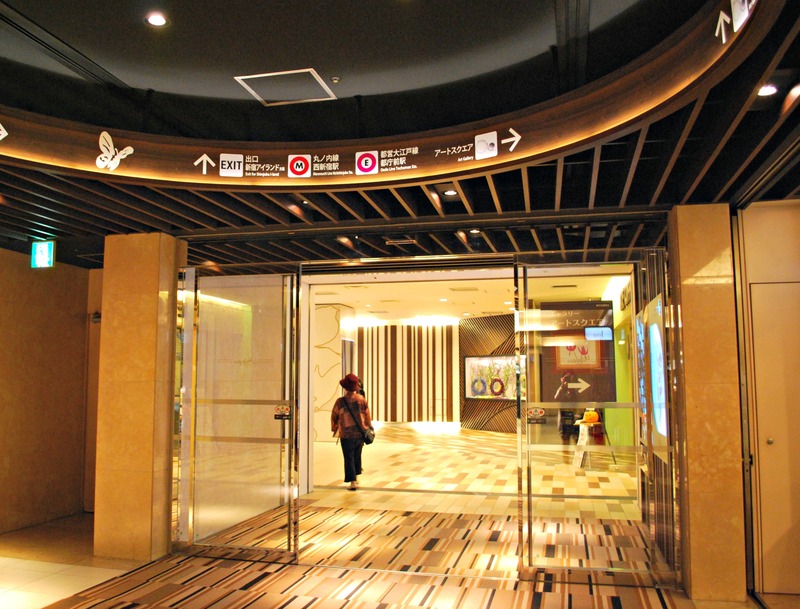 Which hotel did you stay at in Shinjuku? 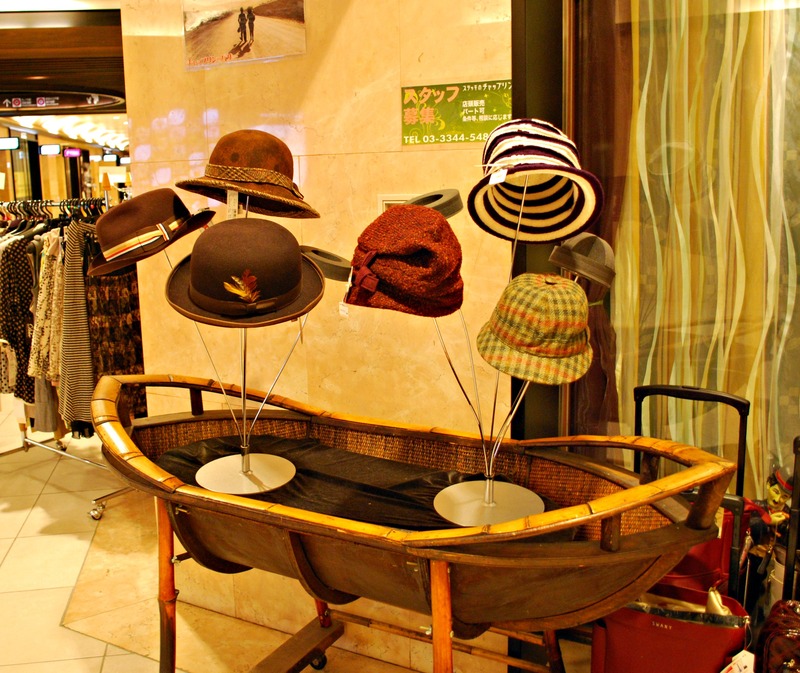 I explored a little bit of Sapporo’s underground, there were quite a number of shops down there. I wish I’d had a chance to see Nagoya’s, we even stayed at a hotel in the station so it would have been the perfect opportunity. There’s just never enough time whenever we go on these Japan trips! I stayed at Keio Plaza. Overpriced with disappointing service. I’ve lived in Nagoya for over a year, and I’m still finding new nooks and crannies that I’ve yet to explore in and around Nagoya station. There really is never enough time. That’s right, I remember reading your Keio Plaza post and commenting on it! Since it’s so close to the station, it must have been a very quick and convenient walk using the underground passageways. I would love to be able to go back to Nagoya again sometime soon. The last time we were only there for a day and just to take a day trip to Gifu. I really want to see the castle and eat their famous wings! It was super convenient yeah. Especially in the summer heat! I love Nagoya. There isn’t a whole lot in the way of tourist attractions, but aww man the FOOD! tebasaki at Yamachan is a definite must-have, but my favourite has to be miso katsu. Yabaton is the most famous restaurant for it, but you can get it everywhere. I also think Nagoya is a pretty good base city to check out surrounding areas. I ate at a branch of Yamachan down in Kyushu. The wings were SO good. Well, actually everything was really good, I remember the fried rice being one of the best I ever had in my life. I was wondering if there were places in Nagoya considered even better in Yamachan. If so, I would probably never want to leave, I love wings! I’ve never tried miso katsu or even heard of it. I just did a search for Yabaton and the food looks really good. The katsu looks so juicy and tender. I see that they also have a couple branches in Tokyo. If I don’t manage to get to Nagoya on my next Japan trip then I’ll definitely have to go to the branch in Tokyo. Thanks for the tip! I love Yamachan. I love the black wings they do there, as well as the original spicy ones. There’s also Furaibo, but I’ve never been there. Yamachan is definitely the most popular. The sweet miso flavour is a real Nagoya thing. I’ve been told it’s an acquired taste, and some people don’t like it, but I can’t get enough of the stuff! I recently discovered that hire katsu smothered in sweet miso sauce is just about as close to perfection as katsu can get. I go to my favourite restaurant in Kanayama almost every week. If I remember the name I’ll let you know! Not sure if it’s a chain or not. Thanks for mentioning Furaibo! There’s actually a branch right here in Southern CA that’s maybe 30 minutes away from where I live. I’ve only gone there once but I don’t think I was very hungry and I didn’t get the wings. I’ll definitely have to go back and try them. My mother would make a miso sauce to put on some vegetables, I wonder if it tastes like that. If so, I’m sure I would like miso katsu. I’m really looking forward to eating it the next time I’m in Japan. Thanks for the recommendations! No probs! Hope Furaibo is good. I’ve had students recommend it but I’ve never been there myself. I think the sweet miso flavour is quite particular to Nagoya, but you never know, could be similar. I might have to do some restaurant reviews soon. Would be a good excuse to eat out, anyway! Yes, please, I’d love to read your restaurant reviews!! 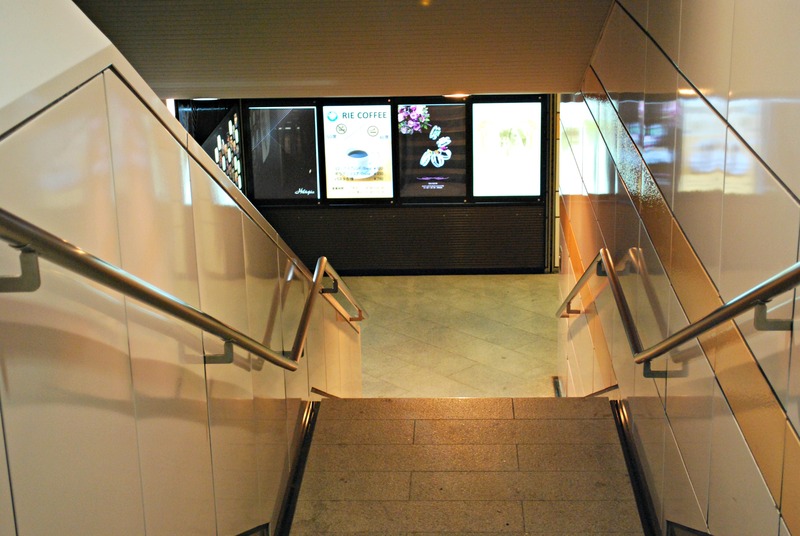 Hmm… Are there any places to eat in the underground passageways? But very nice passageways and they are very clean! 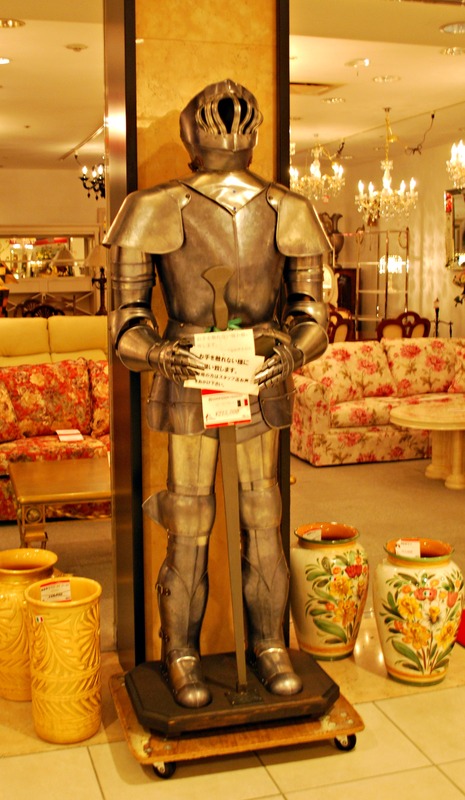 And yes, the first place I would think of buying a medieval armor is in an underground store! hehehe. lol, seriously, I laughed when I saw that armor too! And it’s always there year after year. Or who knows, maybe it’s a hot seller and they are constantly replacing it with a new one?! Yes, there’s definitely shops and restaurants in the Shinjuku Underground, but the area I was in didn’t have any except for Hiltopia. Really, I’ve only seen the tip of the iceberg and I will have to explore more of it the next time I’m in Tokyo. 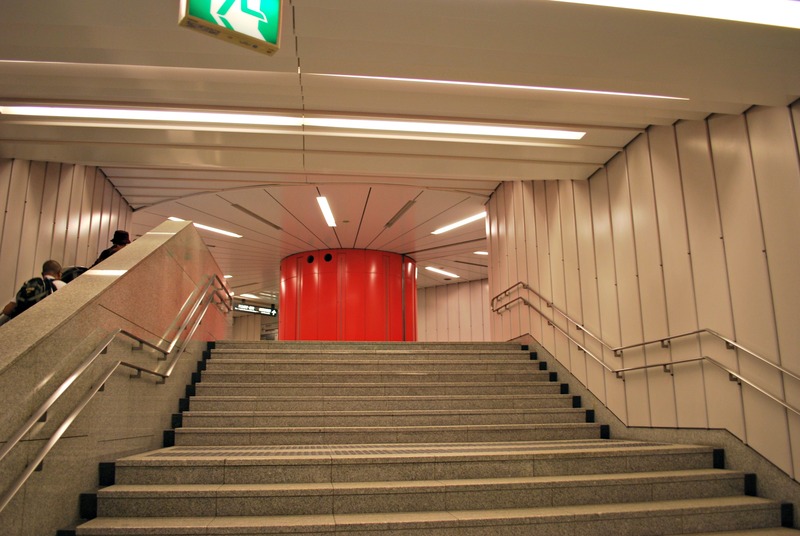 I’ve been lost in Shinjuku but not in the underground, yet… Great photos. I haven’t gotten lost in Japan yet but that’s because I’m one of those crazy tourists that’s always pulling out their map every 10 seconds. For the underground, good thing there were numerous maps on the wall otherwise I would have been wandering around in circles for who knows how long. Thanks for commenting! I love how you can walk everywhere in Japan (and not have it be too far from anything). Underground arcades are the best! Although…usually I’m usually surprised that it’s dark out when I emerge back from all the shopping. 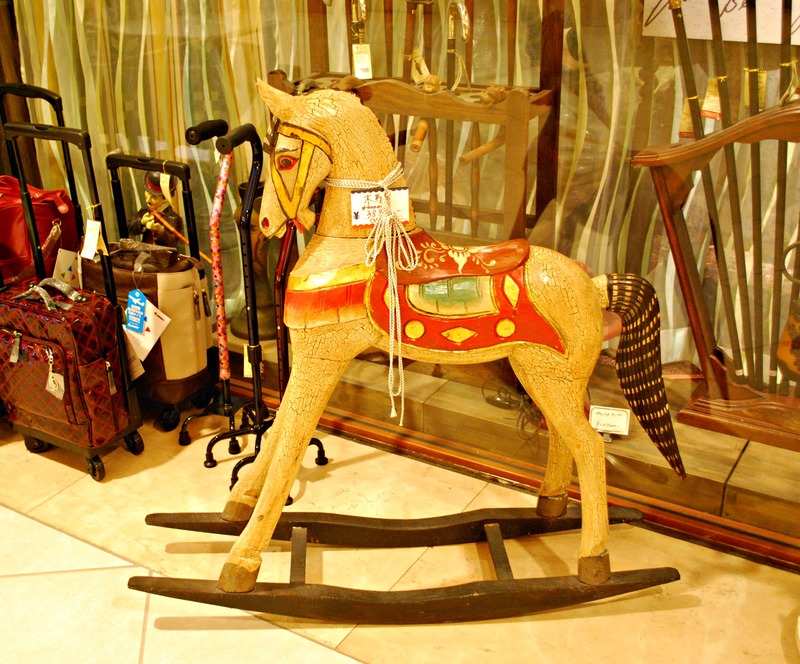 The rocking horse looks super cute, but I bet it was expensive. I especially love how there’s good places to eat everywhere you look! So different from Southern CA where you absolutely need a car to get around. I know what you mean about it being dark by the time you get back to the surface. It was especially true in Sapporo. Since it’s way up north, the sun goes down so early and the days would be super short. The first time I shopped in Hiltopia (2008) I was shocked at the prices of everything. So on subsequent visits I would just window shop and not look at price tags. 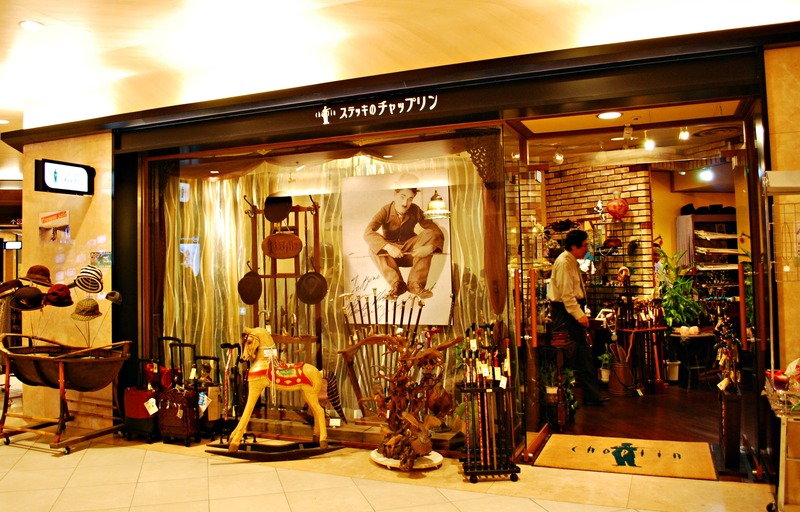 I’m sure that rocking horse costs a gazillion yen! I aLways envy countries/cities with advanced underground transportation system, they aLways seem to have two different worLds: the Ground and the Underground! I envy those countries/cities as well! Even though I live in Los Angeles which is pretty advanced, our subway system is pretty blah. The biggest problem is that public transportation is associated with being poor and everyone is super attached to the notion of driving their own cars. I’ve passed by this underground system of Shinjuku as well. It felt like an entirely different district from the one above it. When I went to Myeongdong in Seoul last week, I somehow found myself in its underground arcade and it reminded me so much of Shinjuku’s. I swear, I could spend a year in Tokyo and I bet I would still only explore a tiny part of the mega-city. So many places to discover! I know, when you’re underground it’s hard to remember where you even are anymore. It’s daunting to think that there’s still a whole Shinjuku Underground to discover when I have yet to see much of the surface! How was your trip to Seoul? I’m excited to read your posts on your visit. Especially the parts that involve all the good food over there! Wait! Was there a medieval armor >.<!!!? I know, it’s pretty funny to see something like that in an underground store. It’s always there in the same spot whenever I visit Japan. I think it costs around $3000, maybe it’s time for a sale. It was really nice to kind of get away from it all and be in such a quiet and serene environment. And it was so clean and it still felt safe even though we hardly saw anyone else. But I think there’s much busier parts of the underground where there’s actually stores and restaurants. I think that’s on the east side of the station (we were on the west side) so I’ll want to check that out next time. Lol, whenever I go down those stairs I really do feel like Alice entering Wonderland! I know what you mean, if I didn’t have M with me I would never attempted to walk through the underground. I have a terrible sense of direction! 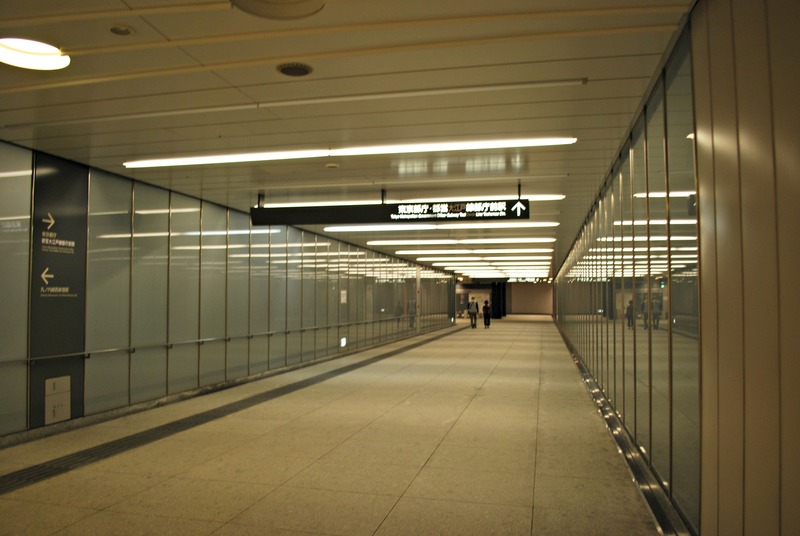 I am always so amazed at how intricate Japan’s subway system is – since I come from Toronto, and our subway is so below par of what it should and could be. Can’t wait to explore Japan’s subway system one day. I don’t know what Toronto’s subway system is like but it certainly can’t be worse than the one we have here in Los Angeles! 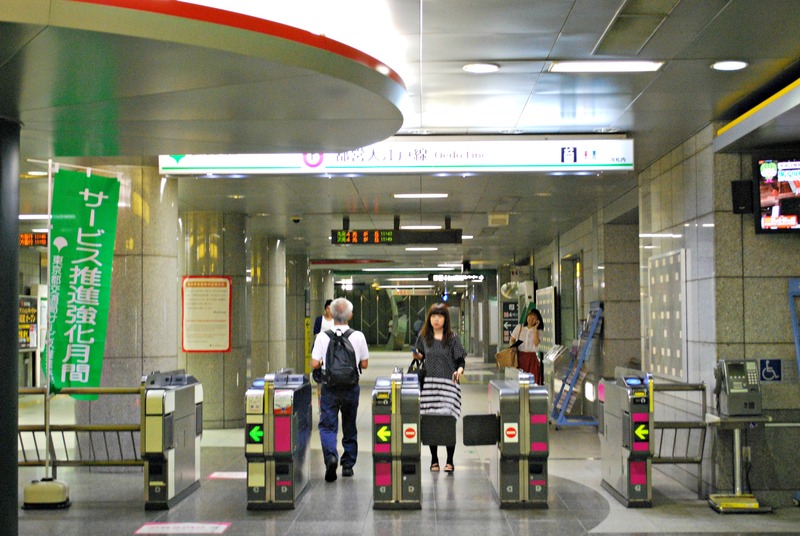 I hope you’ll get a chance to see Japan’s subway system one day, it’s so efficient and modern. This is great! Underground tunnels?? 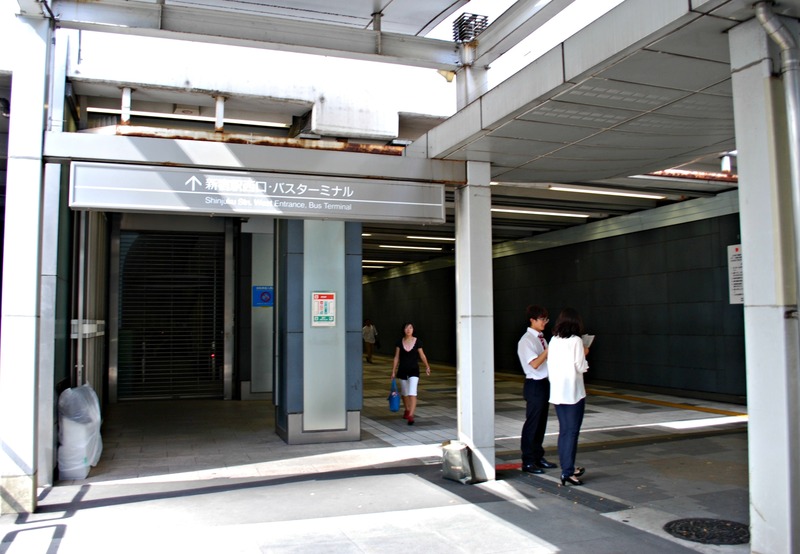 Yes, there’s a whole network of passageways under parts of Shinjuku. Really interesting to explore, I’ve only seen the section from the Tokyo Hilton to Shinjuku Station. That covered 1.25 miles or so but there’s much more than that. Cool. We’ll have to check it out. 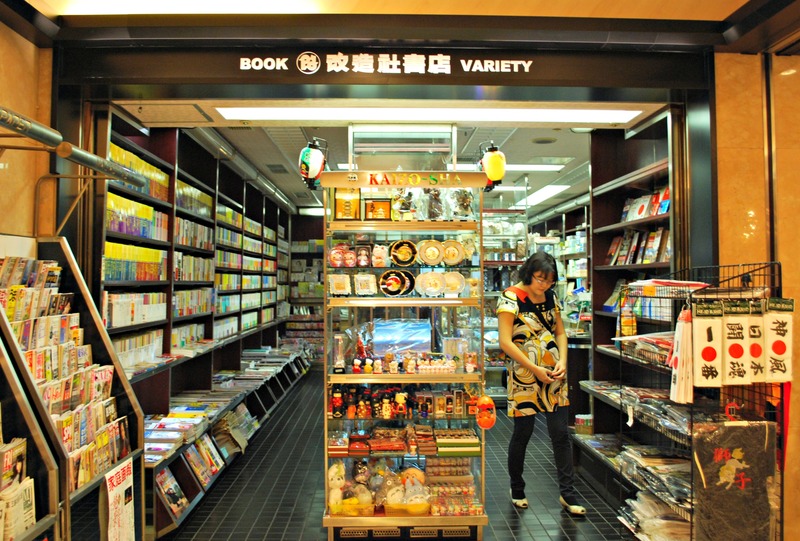 ooh that book/card store looks so enticing! i wish i had explored that area. all the underground tunnels and the complexities of each train station.. its incredible. they really put the train stations here in the States to shame. The stores in Hiltopia were really fun to browse through. It was kind of weird to practically be the only ones down there though. Especially after all the hustle and bustle of the rest of Tokyo. Totally agree with your comment about train stations in the States. And here in Los Angeles it’s got to be the worst for such a major city. But then again everyone drives so not much money is put in to public transportation in comparison to other cities. I always get a kick out of riding the trains and subways in Japan, it’s so novel to me! I really hope I’ll get to see more of the tunnels on my next trip to Japan. Have only seen the area between Hilton Hotel and the station. I think the East side has a lot of shops and restaurants that I’d love to check out. Thanks so much for commenting! I stayed at Hotel Sunroute Plaza when I was in Shinjuku weeks ago. The station is super busy. I remember standing at the cross road opposite the JR station just to observe the number of crowd at 7 plus morning, and taking photo. Huge jam. Oh, the Sunroute is very close to the station, that must have been wonderfully convenient! I’ve always avoided the station in the morning because of the huge crowds but just once I’d like to go and watch the workers push the commuters in to the trains. Thanks so much for your comment and sorry for this late reply. Of course you can reblog my post, I’m very flattered! I’m enjoying reading your blog, you take such wonderful pictures. It really brings back wonderful memories of my visits to Tokyo. Hey Imjapan, thanks for permission to reblog your post! I’ve added it to my main blog page at tokyoaaron.wordpress.com. Again, I enjoyed reading your post and looking at your pictures. I especially appreciate writers who focus on the off-beat, the unexplored, the hidden-in-plain-sight places so many others ignore or take for granted. Thanks also for checking out Big Sushi, little Fishes. I’m really enjoying blogging about Tokyo, my second home! I’ve been blogging a lot recently about Shinjuku, most recently the labyrinthian Shinjuku Station – busiest train station in the world. 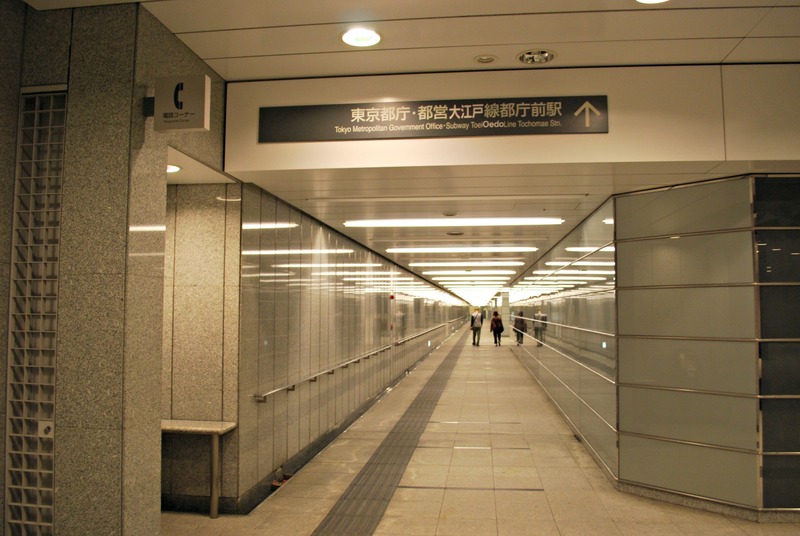 Speaking of labyrinthian, IMjapan over at Japan-Hub.com posted recently about the underground passageways beneath Shinjuku Station, and between it and some of the satellite stations. With Imjapan’s kind permission, I’m reblogging his post here.